NBC's weight loss reality series "The Biggest Loser" is set to huff it cross-country on a 15-city tour to hunt down contestants for the show's tenth season set to air this fall, and it's making a stop right here at home. 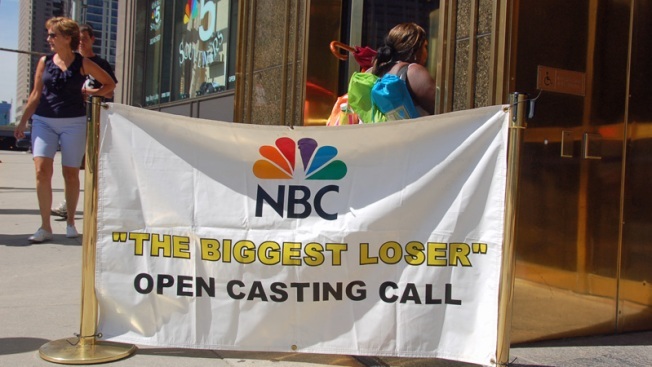 Locals interested in applying for the fat-burning show can come to the NBC Experience Store in 30 Rockefeller Plaza on Saturday, March 13 from 10 a.m. to 6 p.m.
Other tour stops include: Los Angeles, Chicago, Boston, and Detroit, among other cities. The first 500 people on line will be judged both individually and in teams of two for their competitive drive and charisma -- to determine whether they will have the chance to vie for the $250,000 grand prize. For those unable to go to the casting call, they can apply online and submit a videotape at www.thebiggestlosercasting.com.